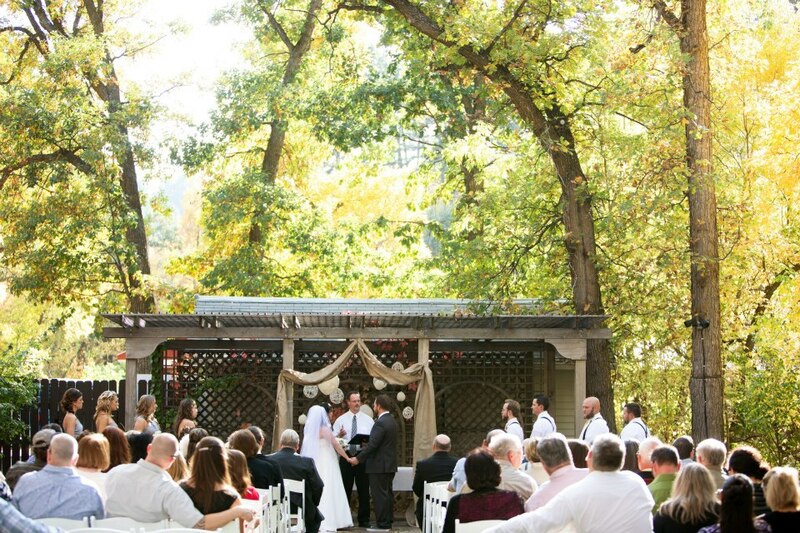 Ruby’s Garden provides an enchanting setting for your wedding ceremony. 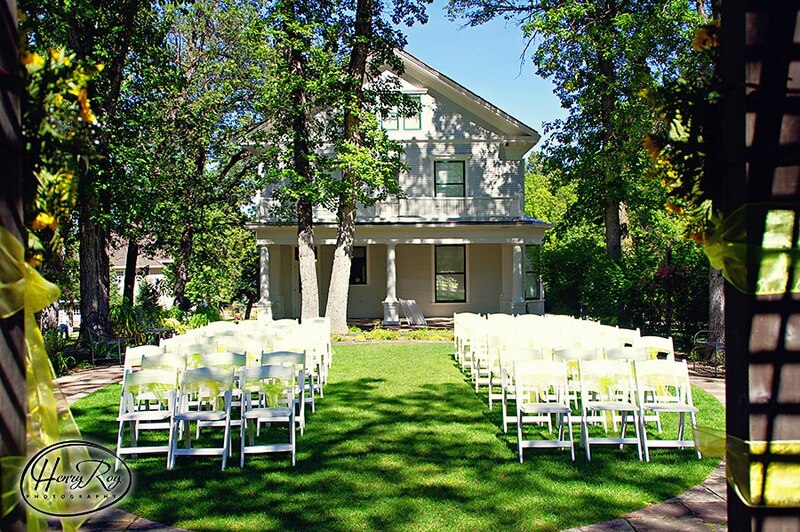 Nestled behind the historic Booth House on the grounds of the D.C. Booth Historic National Fish Hatchery in Spearfish, SD, the garden features an oval lawn bordered by a rustic flagstone walkway and landscaped flowerbeds. The Booth House balcony provides shade to the back porch that leads out on to the lawn, which stretches towards a vine-covered pergola on the opposite end. Private garden space available May through September. The rental fee for a three-hour use of the garden May 1 through September 30 on Fridays, Saturdays, and Sundays (weekends and holidays) is $600.00. Additional time may be had at $100 per hour. The rental fee weekdays, Monday to Thursday (non-holidays) is $400.00. A $200 security/damage deposit to be paid either by check, cash or credit card payable to the Booth Society, along with your signed contract form, will reserve your date. 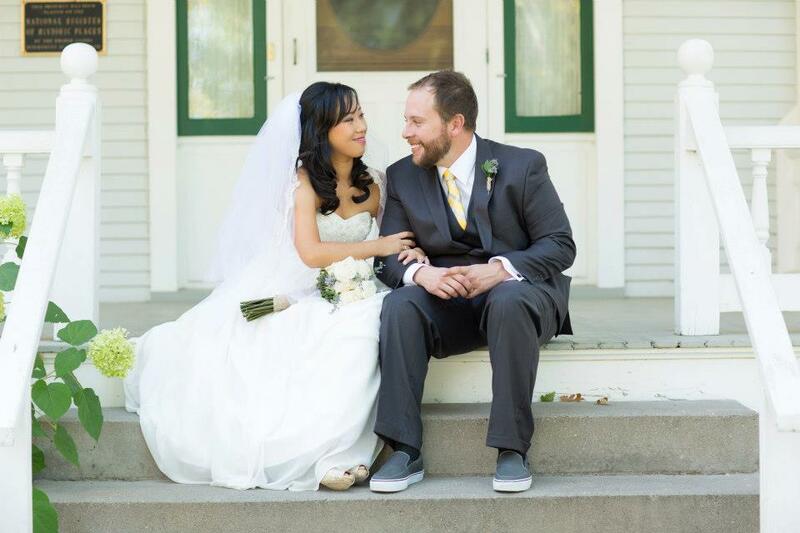 The rental fee of $600 must be paid in full, one month prior to your wedding date. Additional costs (chairs, golf cart, etc.) will be reflected in the final invoice. Maximum seating in the garden is 200. Up to 200 white, wooden folding chairs are available to rent at the cost of $2.00 each. Set-up and tear-down by the Booth Society is included. 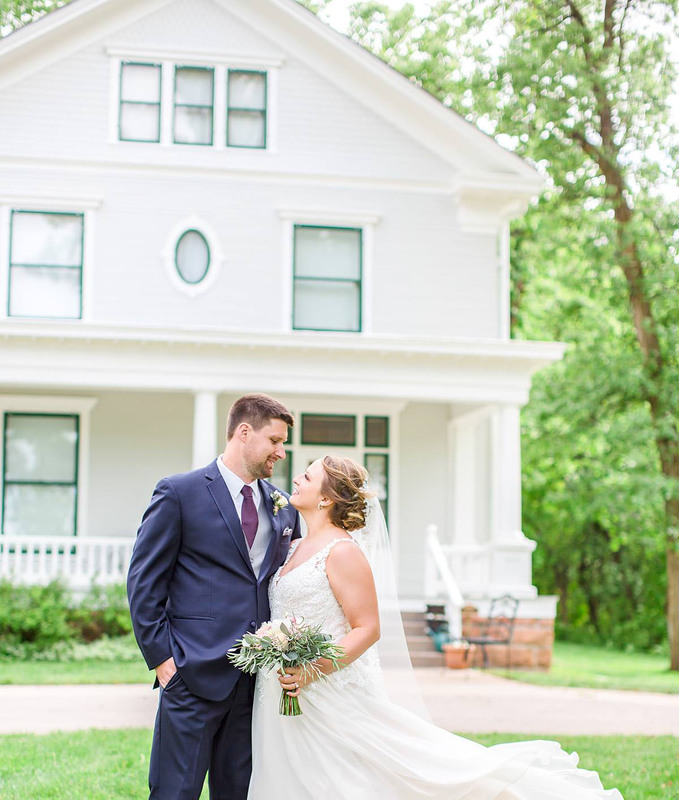 Visit our Facebook page for a glance at previous weddings held in Ruby’s Garden! 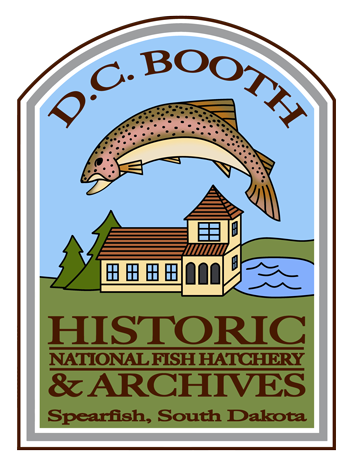 PLEASE NOTE: The use of alcohol is strictly forbidden in Ruby’s Garden and on the grounds of the D. C. Booth National Historic Fish Hatchery. Any violation of this policy will result in loss of your deposit and may result in a fine. Ruby's Garden Ruby's Garden shared a post. Ruby's Garden Ruby's Garden is at D.C. Booth Historic National Fish Hatchery and Archives. Hatchery Holidays is happening here Saturday, December 1, 2018 - 3-7pm. Join us for beer & wine tasting and other fun festivities! Stop by the Gift Shop during Hatchery Holidays! Ruby's Garden Ruby's Garden updated their cover photo.